All-in-one monitoring of your entire infrastructure. 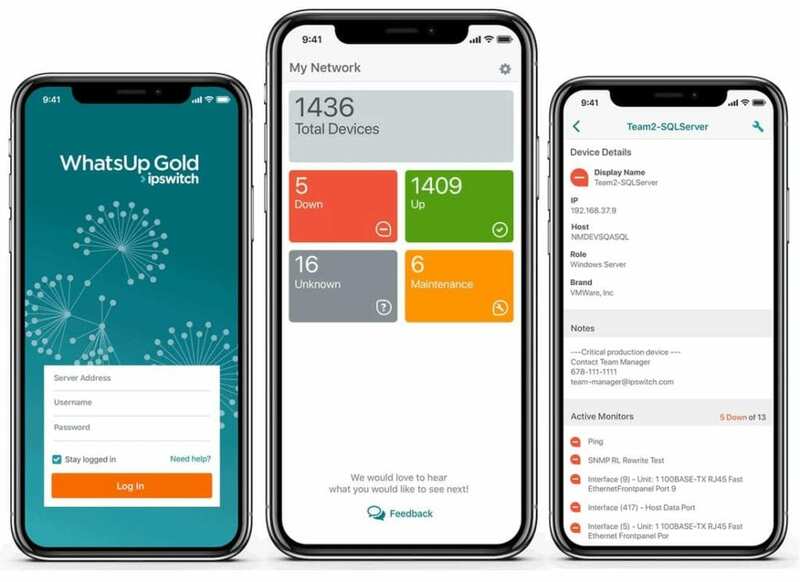 WhatsUp® Gold provides complete visibility into the status and performance of applications, network devices and servers in the cloud or on-premises. WhatsUp® Gold’s powerful layer 2/3 discovery results in a detailed interactive map of your entire networked infrastructure. Monitor and map everything from the edge to the cloud including devices, wireless controllers, servers, virtual machines, applications, traffic flows and configurations across Windows, LAMP and Java environments. Ensure optimal performance and availability to meet or beat SLAs. 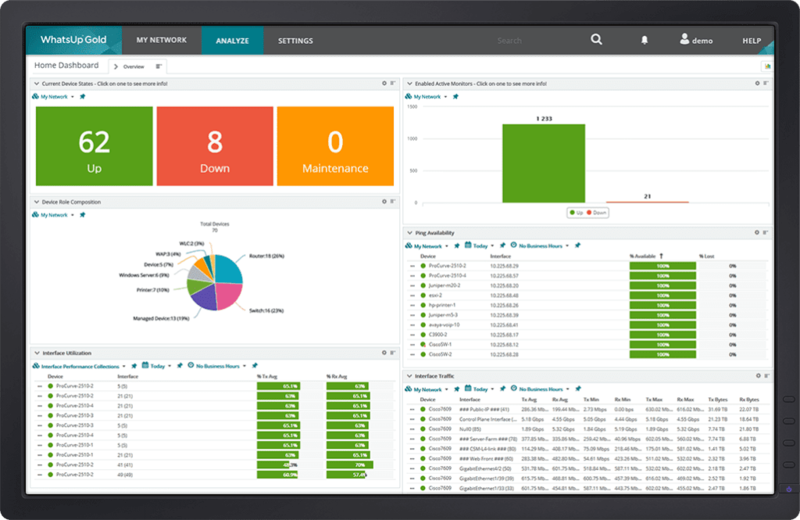 Manage networks, traffic, physical servers, VMs and applications with easy-to-use and customizable maps, dashboards and alerts. 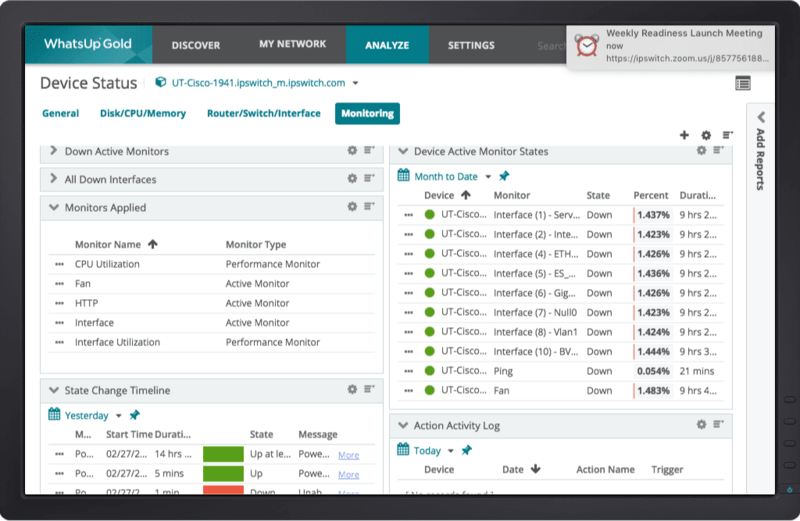 Click on any device to get immediate access to a wealth of related network monitoring settings and reports. Intuitive workflows and easy customization help you reduce MTTRs. 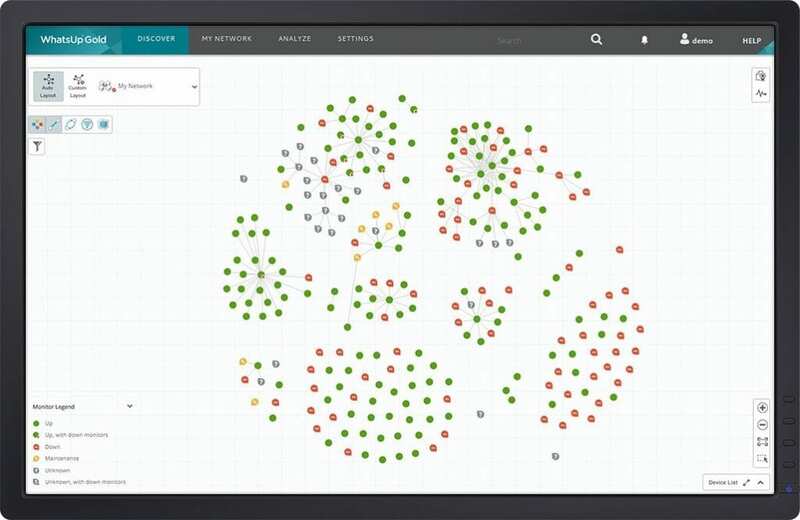 WhatsUp Gold streamlines network monitoring workflows by letting you initiate management tools directly from the interactive map. Easily switch between physical, virtual, wireless and dependency views to resolve issues quickly. Now you can get current network information from WhatsUp Gold on your mobile device. See network status at a glance on the home page: what’s up, what’s down and what’s in maintenance mode. Browse for specific devices for details and put them into or out of maintenance mode no matter where you are. Put the power of WhatsUp Gold in your pocket today and start resolving issues from anywhere. Available now for iOS and Android. What Can You Monitor with WhatsUp Gold? Easily monitor the performance of Linux systems, Apache web servers and Microsoft applications. Comprehensive visibility and control of AWS and Azure cloud environments. Find and fix problems before your users are impacted. Get powerful visibility to physical, Hyper-V and VMware environments. Visualize and assure the performance of your wireless networks.